DesignApplause | Ff chartwell typeface. Travis kochel. 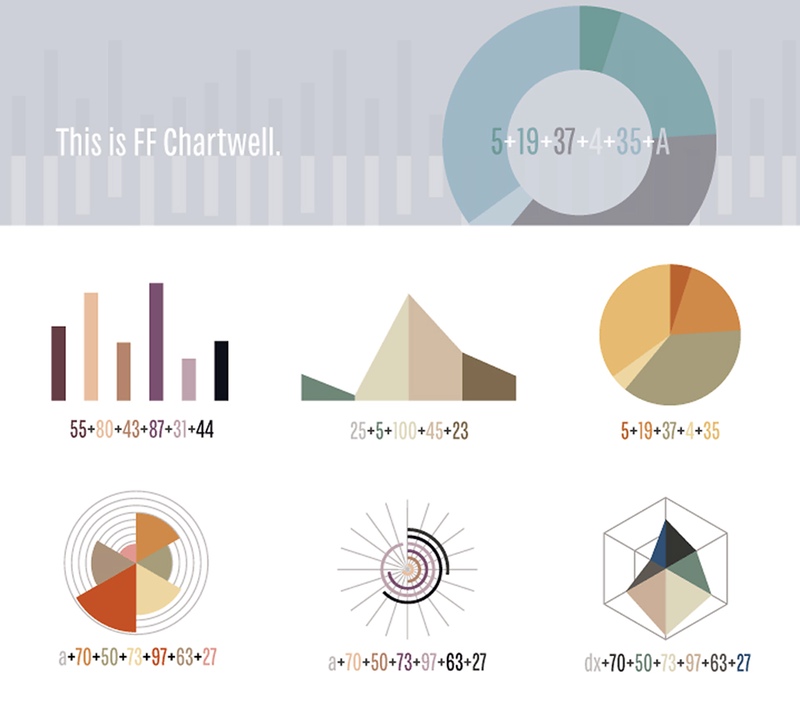 Designed by Travis Kochel, FF Chartwell is a fantastic typeface for creating simple graphs. Driven by the frustration of creating graphs within design applications and inspired by typefaces such as FF Beowolf and FF PicLig, Travis saw an opportunity to take advantage of OpenType technology to simplify the process. FF Chartwell (Pies, Lines, Bars) was originally released in 2011 under the TK Type foundry. In 2012, it was added to the FontFont library with the addition of four new chart styles, the Polar Series (Rose, Rings, and Radar) as well as Bars Vertical. 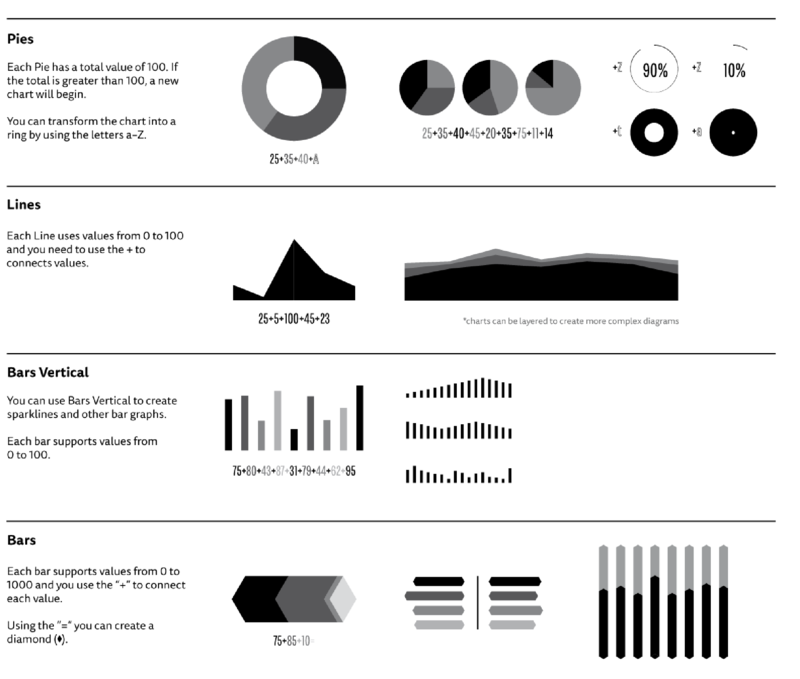 The Polar Series is a set of new designs, which take on the form of more experimental charts. 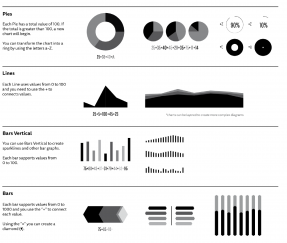 In an effort to make the charts smarter and more dynamic, each design reacts not only to the data entered, but the number of values. 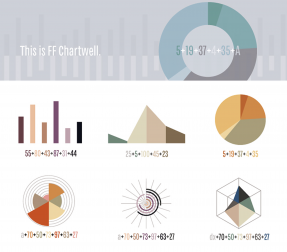 In September 2012, we released FF Chartwell Web.